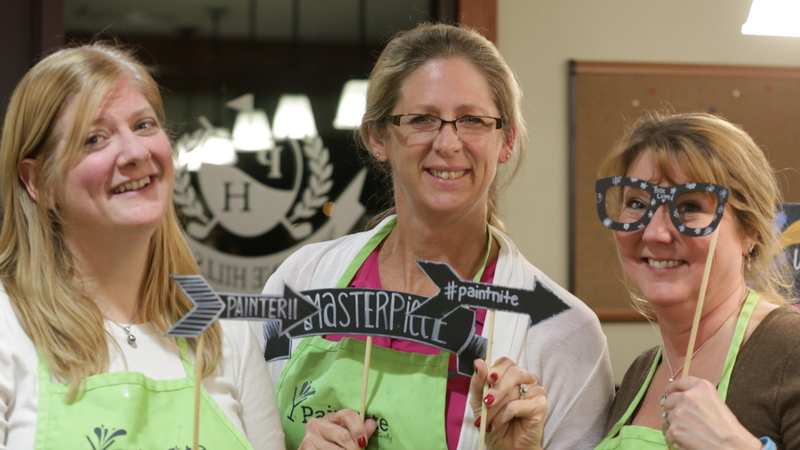 Enjoy an evening of laughter and creativity led by social painting instructor Brooke Dahmen. Palatine Park District presents a Paint Night for adults in the Palatine Hills Clubhouse, 512 W. Northwest Highway, Palatine, on Friday, November 16 from 7:00pm to 9:00pm. The event is for those ages 21 and older; no previous experience is necessary. The evening’s painting will be a Harry Potter inspired piece. The fee is $40 for residents and $50 for non-residents and includes all materials to complete the painting. While aprons will be available, it is encouraged that participants wear clothes that may get paint on them. Participants are invited to bring their own beverages to the event. Pre-registration is required and can be completed in person at Community Center, Birchwood Recreation Center, or Falcon Park Recreation Center. Convenient online registration is also available using program code 442110-01. The evening’s instructor, Brooke Dahmen, is a Media Artist and Animator with a love for fine arts and crafting. Born and raised in Illinois, her love of photography brings back many reference photos for her work in digital painting and paint-painting. Very fond of landscapes and scenery, a lot of her work involves flowers and scenes with dramatically colored backgrounds. For more information, contact Cultural Arts Coordinator Ashley Schiavone at aschiavone@palatineparks.org or 847.496.6237.